This is a plot of 44 radius measurements. The lines represent calculated error. But as seen on the plot, Solar radius does not change enough (outside of calculated error) to constitute a change in diameter during the Solar Cycle. Austin Ortiz is an undergraduate studying Planetary Physics at the University of Colorado. He completed his REU research at the Laboratory of Atmospheric and Space Physics under the REU Coordinator Dr. Martin Snow. 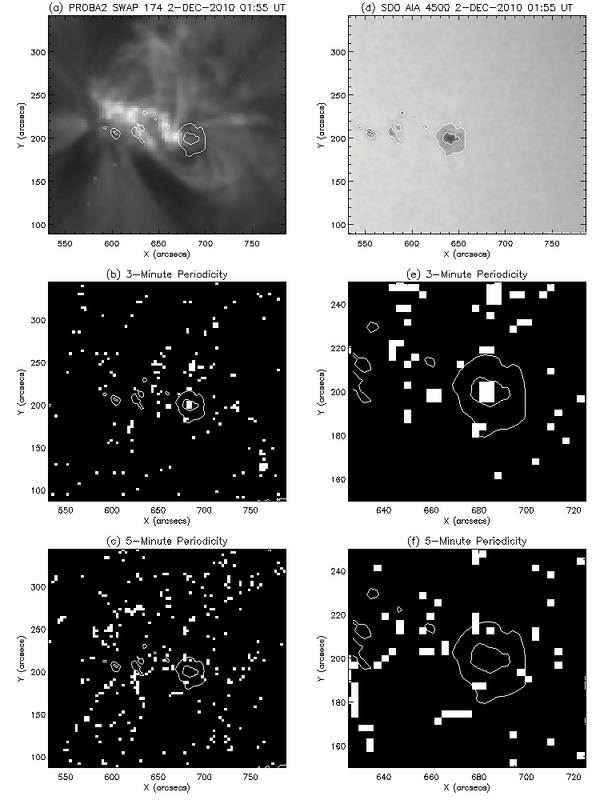 Solar eclipses seen from spacecraft are relatively common, and they provide an opportunity to measure the solar diameter as well as the center-to-limb variation of solar spectral irradiance at several wavelengths. 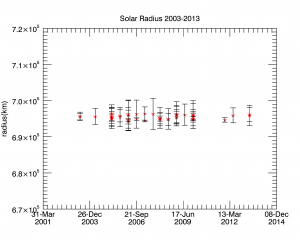 The SOLar-Stellar Irradiance Comparison Experiment (SOLSTICE) on the Solar Radiation and Climate Experiment (SORCE) has been making stellar irradiance measurements from 2003 to the present. We have analyzed 22 events using the Solar Position Sensor which records visible wavelengths at a 1-second cadence. Our measurements cover an entire solar cycle, and we can put an upper limit on the variation of the solar diameter with solar activity. We have also analyzed a solar eclipse event from the Extreme ultraviolet and X-ray Sensor (EXIS) on the Geostationary Operational Environmental Satellite 16 (GOES-16). The EXIS dataset includes 1-second cadence measurements at Lyman-alpha (121.6 nm), which allow for a relatively uncommon measurement of the center-to-limb variation at that wavelength. If you are an undergraduate that took part in an REU this summer and would like to share your research on Astrobites, please contact us at submissions@astrobites.org!